Mauricio Monjaras Cabañas is an entrepreneur focused on the development of alternative energies. 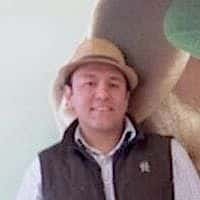 He’s the founder of GRIMA Biodiesel, the first bio-energy company in Mexico, and a lecturer and advocate for the use of biodiesel. Premature Innovation: What happens when a social entrepreneur has a great business idea in a market that isn’t ready for it? Mauricio Monjaras Cabañas founded GRIMA Biodiesel at the age of 21, a social enterprise that aimed to produce renewable fuel from castor beans. The fuel was touted as cheaper than diesel, better for the environment, and a boon to local farmers. But when he tried to launch his business, complications quickly set in. He discusses his struggles in this post, the latest in our series on social enterprise failures.